When it comes to preventing a potentially devastating, dangerous fire, fire sprinklers are the most dependable option. 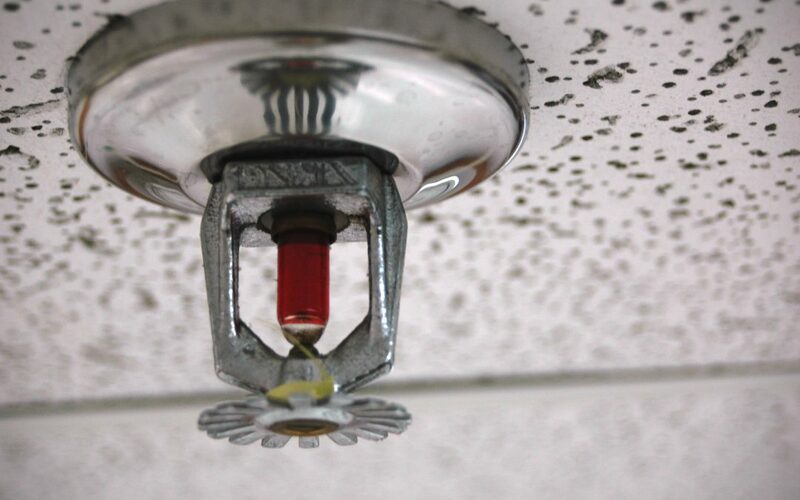 In NFPA’s most recent US Experience with Sprinklers report, many statistics were compiled to prove the efficiency and reliability of these systems. It was found that compared to properties without sprinkler systems, properties that did have them lowered the death rate per fire by 82% and the direct property damage per fire by 68%. In addition to this, it was reported that in structure fires large enough to activate the system, sprinklers operated and were effective in 87% of sprinklered properties. Malfunctioning sprinkler heads can be caused by the buildup of dust and other foreign materials, such as paint overspray. This problem can be fixed by manually cleaning the heads, but overtime, if the buildup worsens, it can lead to having to replace the entire head. NFPA 25 has specific requirements for inspecting your fire system. Of those inspection requirements, NFPA calls for monthly, quarterly, and annual inspections to ensure that your system is running smoothly. They also require an internal inspection of sprinkler piping once every five years. The internal inspection requires professionals, like us here at Frontier Fire, to take the end of the line apart, check for sludge buildup, then flush the valves. Many people do not know when their system is up for a five year inspection or they don’t inspect their system regularly, running the risk of a malfunctioning system. NFPA requires that all standard response sprinkler heads must be tested every 50 years and quick response heads every 10 years. Since this requirement is semi-new, large buildings, schools, and warehouses built in the 1960s are just now requiring these inspections. The systems in these buildings are very old, meaning that they could be prone to problems, leading to defective responses. Backflow prevention devices are often used to prevent contaminated water in a sprinkler system by reversing the flow of water. When the device fails to do this, it often leads to a failed fire sprinkler system. It is required that these systems are checked annually to ensure the quality of our drinking water. Here at Frontier Fire, we offer backflow testing that inspects all backflow preventers per the ASSE and ABBA standards. During our annual visit, we also test check valves, relief valves, buffers, air inlet, and shut off valves, ensuring that your backflow system runs properly. If you have a wet system with 299 or fewer total sprinkler heads, NFPA requires a minimum of six spare sprinkler heads in case of emergency repairs. It is required that there are at least two of each type. Having these on deck in case of an emergency, along with a head wrench allows for there to be a higher chance that your system will run without any malfunctions. Keeping your fire sprinkler system maintained and regularly inspected should be a priority in order to keep your system in optimal condition. Here, at Frontier Fire Protection, we care about your safety and we want to help keep your system functioning smoothly and efficiently. Contact us today if you are in need of fire sprinkler system installation, maintenance, testing, or monitoring. Our highly trained technicians will keep your system in excellent condition and ensure that you are provided with worry-free protection.